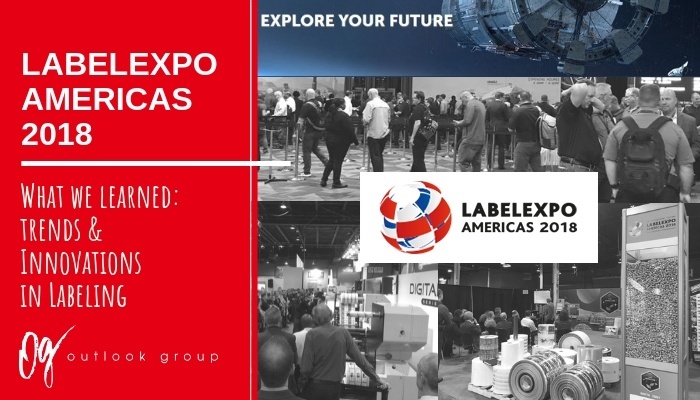 Last week, the Outlook Group team capitalized on a fantastic learning opportunity at LabelExpo Americas 2018, held at the Donald Stephens Center in Rosemont, IL. Outlook employees spanning operations, R&D, engineering and our entire sales team participated in the show to expand our learning around label innovations, digital printing, sustainability initiatives, functional packaging, and more. Overall, I noticed three main trends shaping the future of labeling. Outlook first entered the 4-color process digital printing space two years ago with the purchase of a Domino n610i press. It’s been exciting to see the continued advancement in this space since then. Press manufacturers are now offering expanded gamut options, faster and wider press options, and inline embellishment and finishing options. 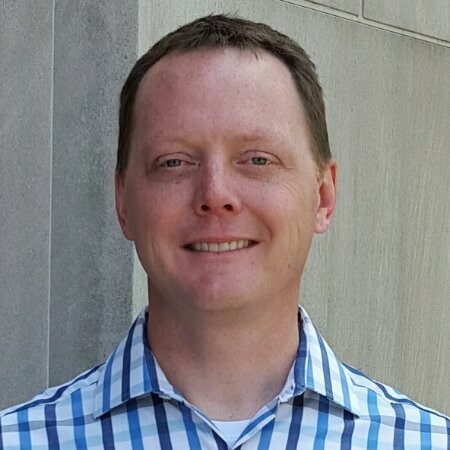 There are also expanding options in flexographic/digital hybrid capabilities from Mark Andy, MPS/Domino and many others which provide increased capability and efficiency for smaller volume orders. Most press manufacturers offer digital now, it’s just a matter of who has the best solution for converters’ needs. Our approach to digital guarantees your label is produced on the right equipment to ensure consistent and repeatable quality, competitive pricing and on-time delivery, every time. Since digital printing now rivals the quality of flexographic printing, we are able to offer brand owners worry-free, one-stop brand labeling solutions to reduce risk during a new brand launch. Brand owners can now start small on digital and transition to flexographic as their brand, and volume of print needed, grows. At the show, numerous companies were also exhibiting creative embellishment options like cold foil, cast and cure, and specialty materials, inks and coatings to enhance shelf appeal and/or provide anti-counterfeiting solutions. Although the major equipment companies have offered these capabilities for a while now, it seemed there were many more offline equipment options at the show this year exhibiting one or more embellishment techniques. This offers an option for companies to add this capability with a smaller upfront investment in equipment. At Outlook, we’ve recently commercialized label and shrink sleeve offerings using metallic inks, cold foil, cast and cure finishes, and matte varnishes. We’re evaluating new screening techniques and lenticular label designs from ImageWorx to support our customers’ unique project needs as well. One final theme to note from LabelExpo 2018 was an increased focus on sustainable material options. Material suppliers are enhancing their portfolios with down-gauged film structures, wash-off adhesives and recycled material options. They are also teaming up with other material suppliers, brand owners, printers, and recyclers to implement programs to reduce the amount of label waste ending up in landfills. Dan Muenzer, TLMI President, spoke to our team about some of the priorities for the industry as a whole, including efforts to expand the infrastructure for collecting and converting liner and matrix waste into fuel pellets (waste to energy). It truly is an exciting time to be part of the label industry. We look forward to doing our part to build a more sustainable packaging supply chain, as well as bringing new innovations and solutions to our customers.